In a pivotal rivalry match of Day-4 on Saturday, No. 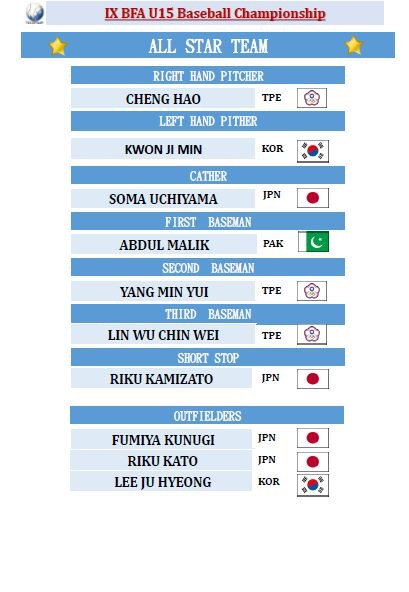 4 Chinese Taipei topped No. 3 Korea, 5-3. Finishing in 1st and 2nd Place, respectively,　followed by　Korea, Philippines, Pakistan and Hong Kong. 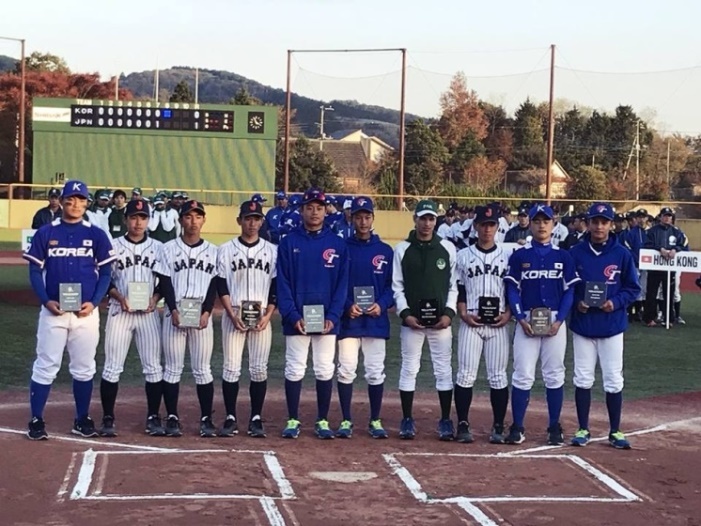 The top-ranked Japan and Chinese Taipei will compete against the world at the WBSC U-15 Baseball World Cup 2018. To date, nine spots have been claimed in the 12-nation global battle For the title of World Champion in the U-15 age category. 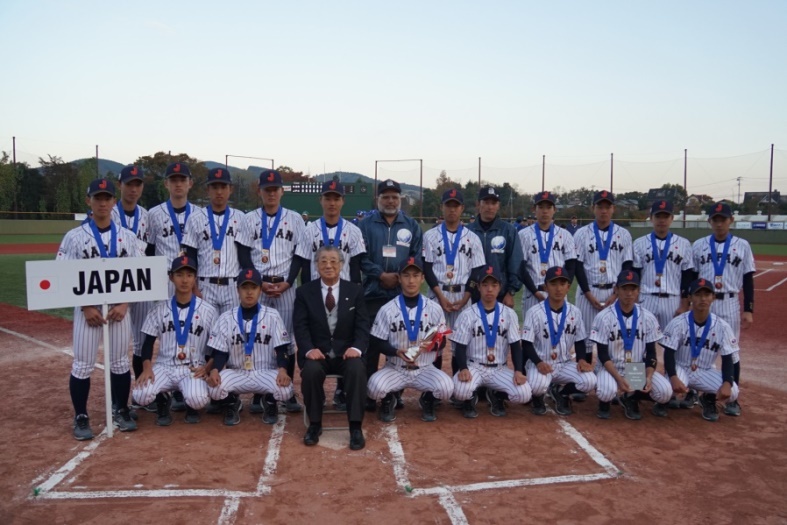 President Tsutomu SHIDA (83) of Japan KWB Baseball Federation, who was instrumental to bring this event to a great success, remembered late President Eiichiro YAMAMATO of Japan Amateur Baseball Association (JABA) and 1st V.P. 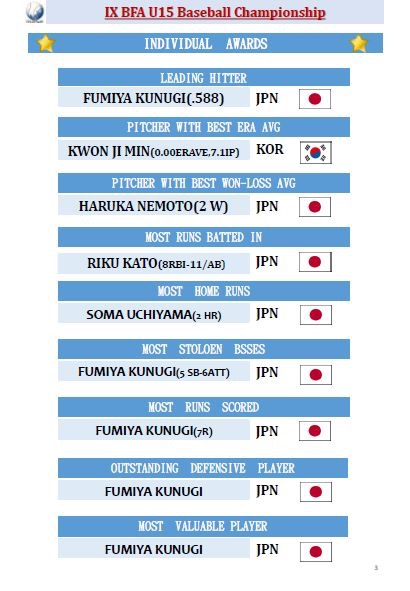 of IBAF (predecessor of WBSC) who recognized potential of the special rubber ball (“M” ball, successor to prototype “K” ball) and then President Jiro NAGASE of Nagase-Kenko Corporation. President SHIDA also complimented BFA President Tom PENG for his continued support and foresight.